India launch of the new Mahindra XUV300 is in February. 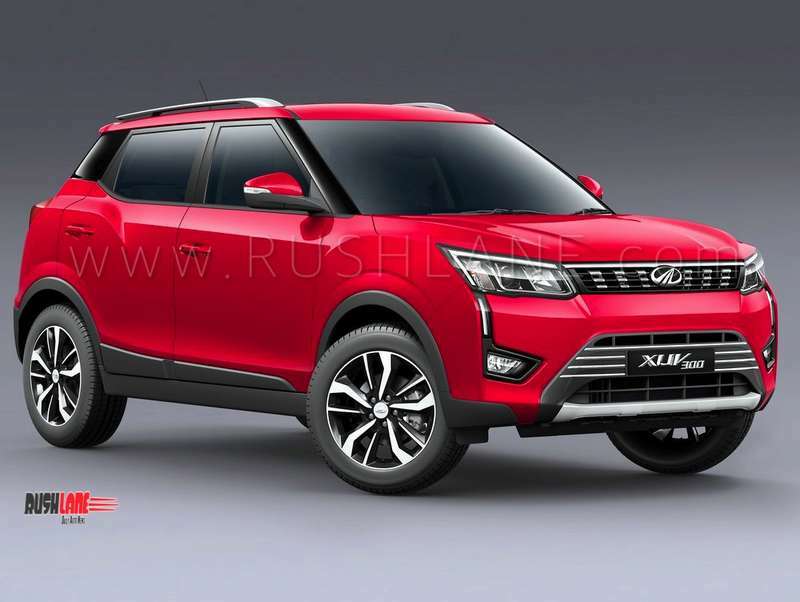 Mahindra has already revealed XUV300 in images. 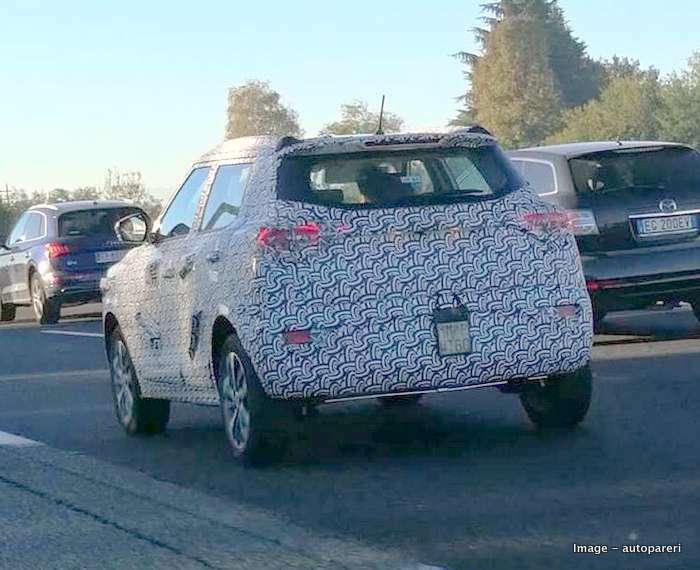 Now ahead of the actual launch, the SUV has been spied on test in Italy. It is in here that Pininfarina is headquartered. Pininfarina is now a subsidiary of Mahindra Group, and it has had a lot of inputs in the making of XUV300. Last month Mahindra had also revealed a video of XUV300, which showed the SUV undergoing wind-tunnel test by Pininfarina. It is quite possible that the XUV300 is undergoing homologation tests to meet European standards. There are a lot of technology consultant firms in Italy, which help in getting new cars certified, and meet various norms required to launch a car (Tata Harrier too was spied in Europe earlier this week). If launched in Europe, the XUV300 will be imported from India as CBU. XUV300 utilizes X100 platform of highly successful SsangYong Tivoli, which is sold in 50+ countries and has registered sales of more than 2.6 lakh units globally since its launch. Tivoli is built for developed markets, so one can expect XUV300 to have a host of high-end features. These features will provide the right motivation to buyers to choose XUV300 over rivals. Just like its bigger sibling XUV500, Mahindra XUV300 has cheetah-inspired deign, which gives it a dominating road presence. It is designed to be a head-turner and features stylish headlamps, Mahindra’s signature vertical grille, LED DRLs, chrome accents, split LED tail lamps, 17-inch diamond cut alloys, roof rails, roof mounted spoiler and rear wash wiper. Key features that will be segment-first include seven airbags, dual zone FATC, and sunroof with anti-pinch. XUV300 will also offer disc brakes on all four wheels, 6-speed transmission, best-in-class torque, three steering modes (Normal, Comfort, and Sport), height adjustable driver’s seat and cruise control. Both petrol and diesel options will be available at launch. Diesel variant of XUV300 will have a 1.5 litre unit that makes 123 PS power and 300 Nm torque. Engine is mated to a 6-speed manual transmission. Petrol variant will have a 1.2 litre turbo unit that will deliver 120 PS power. Mahindra XUV300 is slated to be launched on February 15 at a price of Rs 7-11 lakh.